The 1974 Volkswagen Karmann-Ghia is beautiful and flawless in every single way. Especially in this blue. My God, the blue. You don’t drive a Karmann-Ghia. You arrive in one. It’s all deliberate because if anything happens to the body of the car—a dent, a scrape or whatever—you’re goddamn finished. 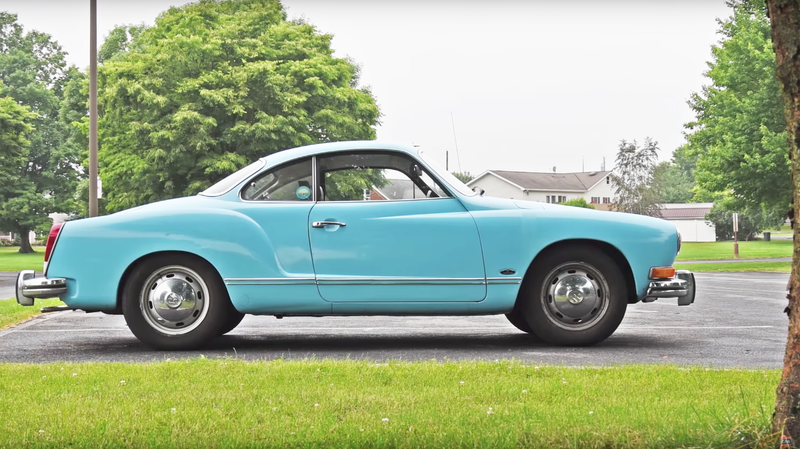 Regular Car Reviews got to arrive around in a Karmann-Ghia. There’s a lot of inarticulate groaning in the video (more so than usual) because I think that’s just what the car makes you do. It makes you swoon. Mr. Regular believes that the air-cooled Porsche bubble will burst one day, but cuteness lasts forever. Especially when it’s “sublime” and “timeless” cuteness built on a normal Beetle chassis, just slightly widened. Am I unoriginal for liking this car? Absolutely. But I don’t care. How Many Times Has Karmann Attempted To Resurrect The Karmann-Ghia?